Sunstone is a rare gem variety of plagioclase feldspar and is noted for its glittering optical effect, called "schiller" or "aventurescence". Sunstone is also known as aventurine feldspar - but care should be taken not to confuse it with aventurine quartz, a green variety of chalcedony. 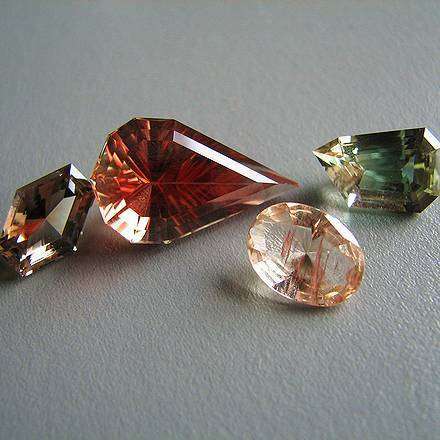 Sunstone is typically golden-orange but can also be red, pink, yellow, colourless, green or blue. The author has also seen black sunstone beads for sale. 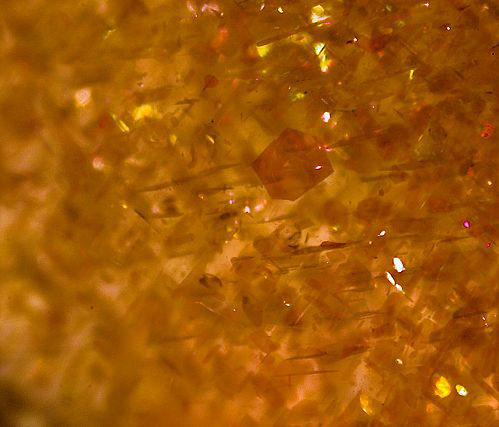 In addition to its sparkling effect, sunstone occasionally displays color change effects or variation in color (dichroism or trichroism) when the stone is viewed from a different direction. 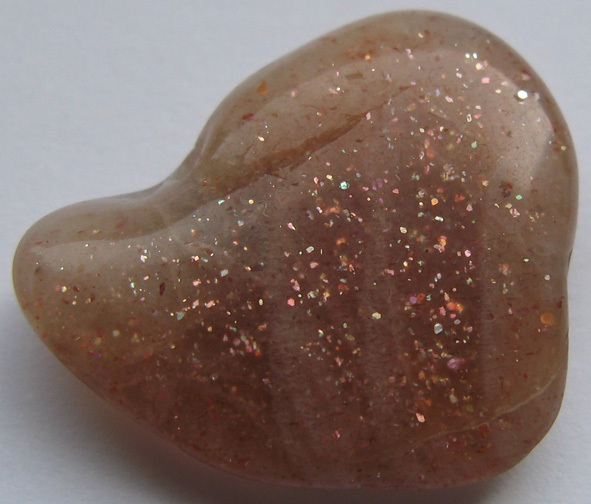 Sunstone has also been used in recent times to make remarkable miniature carvings. Ancient legend has it that the Vikings used a "sunstone" as an aid to navigation. 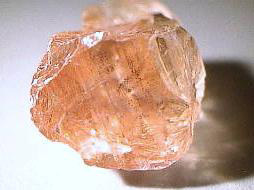 However it is not likely to have been the gemstone now known as sunstone. In a fascinating investigation into this myth, it was suggested that the Vikings may have used a translucent slice of stone to view the polarization of light in a cloudy sky to determine the direction of the sun. The theory is far from certain - also the identity of the stone used is not known. It has been suggested that it might have been iolite, which changes color and brightness when rotated in front of polarized light. True sunstone should not be confused with "goldstone" (also called "aventurine glass"). This artificial glass product with added copper, has been manufactured since the 17th century - and this is sometimes misrepresented as being a precious material or even called sunstone. However with a little experience it is generally easy to differentiate from true sunstone, on account of its overly uniform, evenly speckled appearance and lack of translucency. When set alongside several pieces of true sunstone, goldstone is often noticeably different, appearing more resinous or "glassy". Also, some products are branded "sunstone" without any deliberate intention of confusing them with the gemstone - such as a type of decorative gravel.